The TED talk “What to trust in a ‘post-truth’ world” by Alex Edmans got me thinking about Bible study in a “post-truth” world. The Oxford Dictionary defines “post-truth” as “relating to or denoting circumstances in which objective facts are less influential in shaping public opinion than appeals to emotion and personal belief.” Now, we might call it a “fake news” world. 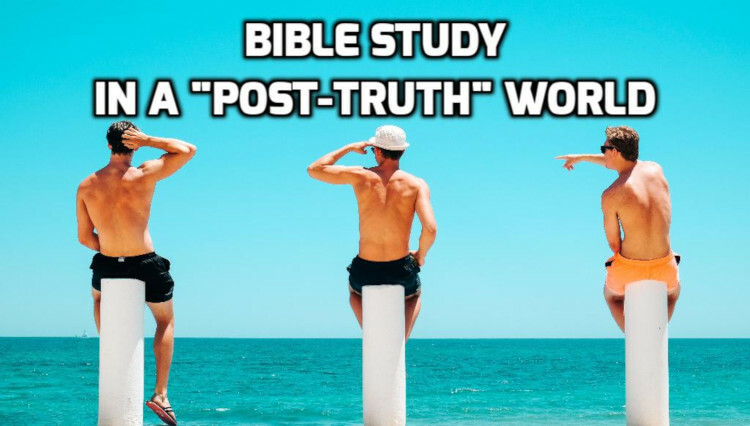 Do we live in a post-truth Bible study world? Increasingly sermons are heavy with stories and emotional appeals and light on critical explanations of the author’s intent. Sermons today tend to read the passage and jump immediately to application. While the speaker may (or may not) have done great bible study to reach those stories and appeals, it’s not modeled or shown in the presentation, leaving listeners little room for discernment. But Bible study still involves asking hard questions and I, for one, would like to see more of those questions discussed on Sunday mornings. But due to confirmation bias, we never consider the rival theories, because we’re so protective of our own pet theory. 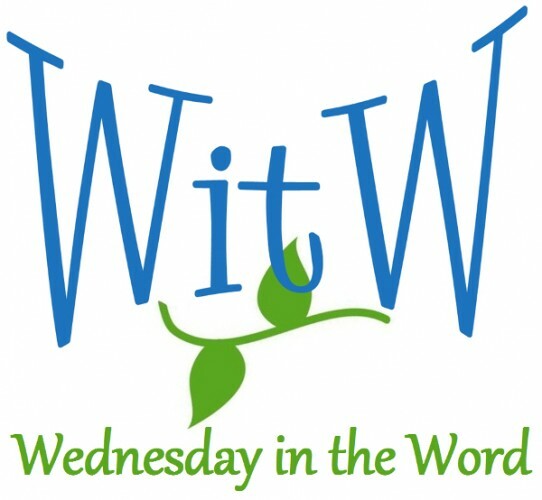 Scripture talks about belief being a matter of the will. Ultimately, we believe what we want to believe. The first step toward saving faith is the willingness to believe the gospel might be true, and this principle also applies to Bible study. We have to be willing to believe a different interpretation might be the best one. Good Bible students learn to ask questions of the text with the underlying assumption that our preferred answer might be wrong. (Why would the author pick that word? Why not pick a different word? How does this thought relate to the previous one? How does this phrase modify what he just said? Why would he make that point in this context? etc.) We ought to approach the text with the purpose of looking for rival theories and interpretations. Rather than seeking to confirm our bias, we learn to ask questions even if we think we already know the answers. Then we learn to approach the answers with the humility to accept that our pet answer might be wrong. Because that’s the second example of confirmation bias. We accept a fact as data. The biggest problem is not that we live in a post-truth world; it’s that we live in a post-data world. We prefer a single story to tons of data. Now, stories are powerful, they’re vivid, they bring it to life. . . But a single story is meaningless and misleading unless it’s backed up by large-scale data. But even if we had large-scale data, that might still not be enough. Again, like Bible study it’s not enough to support your chosen interpretation. You have to rule out other possibilities. Edmans explains with a study by psychologist Peter Wason where he gives subjects a set of three numbers and asks them to determine the rule that generated the numbers. If the numbers are 2, 4, and 6, a first good guess is that the rule is successive even numbers. You might test this theory by proposing 4, 6, 8 and you might learn that set also fits the rule. But if you keep testing only with sets like 8, 10, 12 and 20, 22, 24, you only confirm your theory; you do not prove it. As Edmans explains, a better test is 4, 12, 26, because if that set also fits the rule, it eliminates the successive even numbers theory. And if 4, 13, 26 also fits the rule, you learn the numbers need not be even, perhaps they only have to increase. That kind of testing is essential to good Bible study. Bible students need to learn to test their interpretations with those kinds of hard questions. We ask questions, we propose interpretations to learn the “rule” of the authors original intent, we ask questions that challenge our interpretation, and we revise accordingly. The goal is not only to confirm our pet interpretation; the goal is to eliminate rival interpretations. But that kind of “testing” requires the humility to discover that our pet interpretation might be wrong, something our own confirmation bias finds uncomfortable. Edmans concludes with 3 tips for living in a post-truth world. I’d like to offer 3 tips for Bible study in a “post-truth” world. Approach every text with the assumption that you could be wrong. Attitude matters. A healthy dose of humility and willingness to be wrong goes a long way toward being right. When you consult commentaries, always check more than one, pick both classic and contemporary works, and include at least one commentary with which you are likely to disagree. The wider the viewpoint net you cast, the more you are likely to learn. Hold both these goals: to learn what you believe and why; and to understand the other side(s) well enough to know why it fails to persuade.